Autism is one of the most genetically determined neuropsychiatric disorders. The risk for first-degree relatives is approximately 100-fold higher than the risk in the general population and the concordance in monozygotic (MZ) twins (60–90%) is much higher than the concordance in dizygotic (DZ) twins (∼3%). Although specific genes implicated in autism have not been firmly identified, mutations in two members of the neuroligin family of cell adhesion molecules have been reported. Recent findings suggest that alterations in neuroligin function may result in an imbalance in excitatory to inhibitory synaptic transmission. These findings are consistent with a recent model for autism which proposes that enhanced neuronal excitability is the leading cause for autism. In this chapter we briefly discuss the difficulties encountered in identifying genes implicated in autism. 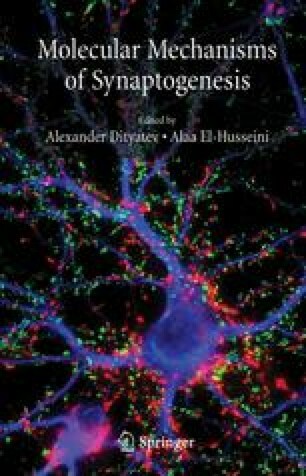 We propose that advances in understanding the biological mechanism of synapse development will help to overcome these difficulties.